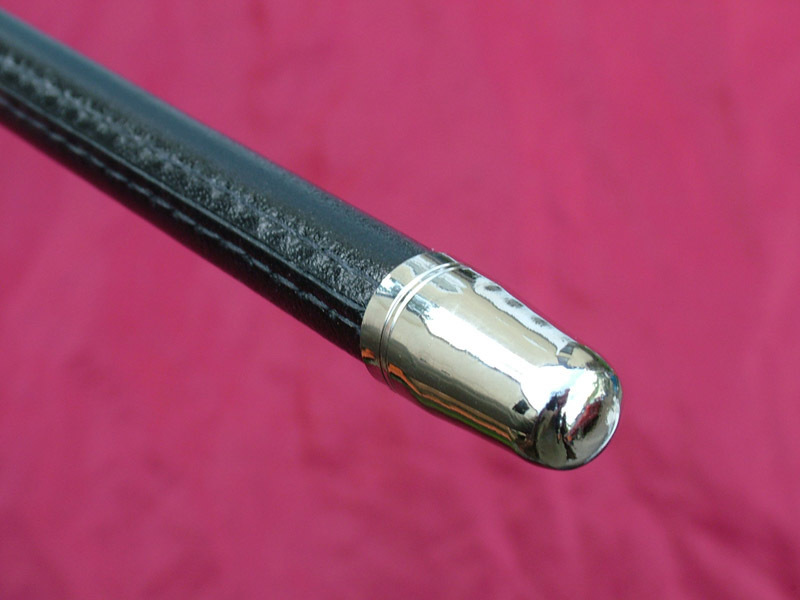 This short ebony baton is equivalent to a small club, has a cord-wrapped handle and silver-capped tip bearing the seal of Zobeck. After a successful attack or touch attack, as a free action the wielder may say the Command Word to expend a charge and target their opponent with a Hold Person spell-like ability (Lasts 3 Rounds, DC13 Will negates, Touch Attack). An official warrant slipped under the cords adds +2 to the DC for persons named in the warrant. A staff may only hold a single warrant at any time, naming no more than three people. It usually has 50 charges when constructed and provides a +2 bonus to CMD to initiate or maintain a grapple. It cannot be charged outside of the Blue House but an ‘empty’ tipstaff retains its CMD bonus. If used as a weapon it does 1d4 LETHAL damage. The Zobeck Watch and the Spyglass Guild work vigorously to keep these items out of private hands and any officer who loses his is publicly disgraced.